The LOGIQ E9 with XDclear premium ultrasound. Modality worklist enables the LOGIQ E9 to query patient demographics and study details from the facility''s imaging IT system. Modality Worklist retrieves patient information based on user defined criteria and can help reduce typographic errors and help streamline workflow. Count on GE to help optimize the performance of your vital ultrasound assets. Our maintenance service offerings all deliver one thing-confidence. 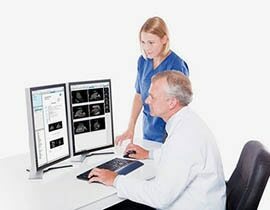 Manage patient information, report data, and images in one flexible and intuitive IT solution. GE's ViewPointTM 6 is one of the most comprehensive, customizable data management tools available. Learn more.